Invisalign Teen is a specially designed version of Invisalign for teenagers, which straightens teeth using clear, removable aligners. 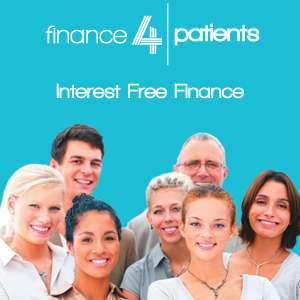 The treatment is much the same as the traditional system, but has additional features to suit teenage patients. This is a clear aligner system which uses gentle force to straighten the teeth. The aligners are made from clear plastic and will be virtually invisible to others. Each aligner is worn for two weeks and then replaced with the next in the series. They are removable and should be worn for a minimum of 21 hours per day. Invisalign Teen aligners have additional features to suit younger patients. They are marked with a colour indicator to remind patients when to swap their aligner and they also come with spare aligners so that losing or misplacing one is no cause for worry. The aligners are custom-made according to the individual patient’s treatment plan. Each aligner is slightly different to encourage the teeth to move. Stage 1: A consultation will be held with your Glasgow Invisalign Teen dentist. They will take a good look at your mouth to check that you are a suitable candidate and talk to you about the treatment process, how it works and how long the treatment will take. They will also be able to answer any questions you may have. Stage 2: Impressions are taken of your mouth and these are sent away and used in the creation of your bespoke aligners. Stage 3: The aligners are manufactured and returned to us for the treatment to begin. Stage 4: You wear your aligners for at least 21 hours per day and should only remove them to eat, drink and clean your teeth. We will arrange regular check-ups to ensure a smooth treatment process. Aesthetics: Many teenagers are self-conscious about their appearance and so the clear aligners offer a discreet solution. Flexibility: You can remove your aligners out to eat, drink and brush your teeth, and also when you want to look your best for parties or special occasions. Convenience: Invisalign Teen comes with spare aligners and colour markers to remind you when to change to your next aligner. 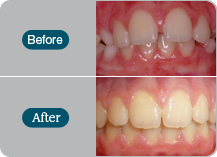 The treatment includes aligners which are shaped according to the patient’s personalised treatment plan. Each one is worn for 2 weeks and then substituted for the next in the series. Gentle forces are used to move the teeth and the aligners should be worn for 21 hours each day. The cost of treatment will vary according to the individual case. 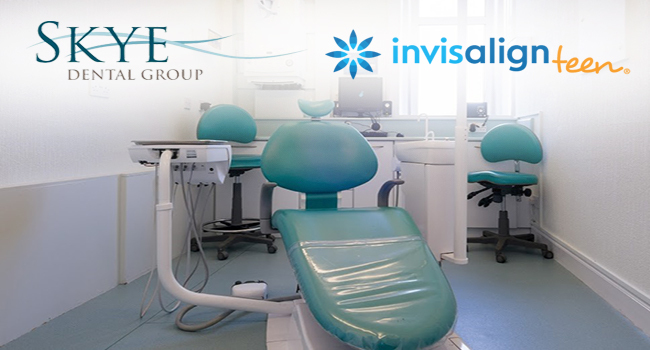 Your Glasgow Invisalign Teen dentist will explain the costs to you during a consultation. Treatment time is dependent on the complexity of the case. Relatively simple cases may be completed within 6-12 months but more complex cases will take longer. The aligners are much more comfortable than traditional bulky braces because they use gentle force and do not include any metal or bands. Is the treatment suitable for all teenage patients? Invisalign Teen is suitable for most patients including those with crooked or twisted teeth, problems with the bite, crowding and spaces between the teeth. This is a great treatment system for young people. The aligners are virtually invisible, removable and provide great flexibility, with additional features to make the treatment process simple and stress-free. Invisalign Teen is exactly the same but has additional features to make it more suitable for teenage patients. These include spare aligners and colour indicators to remind the patient when to change their aligner.